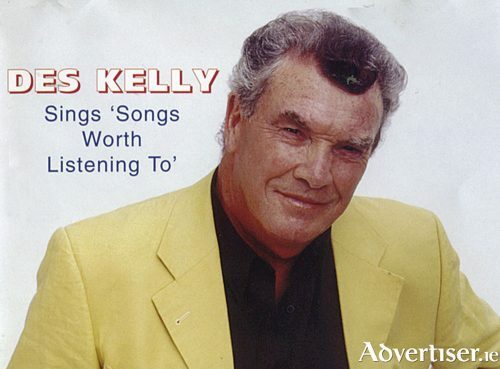 One of the pioneers of Ireland’s show band scene, Des Kelly, was buried in Galway last week. He was 80. Performer, music promoter, manager and broadcaster Des was a founding member of the Capitol Showband which was hugely popular in Ireland and Britain in the 1960s and 1970s. 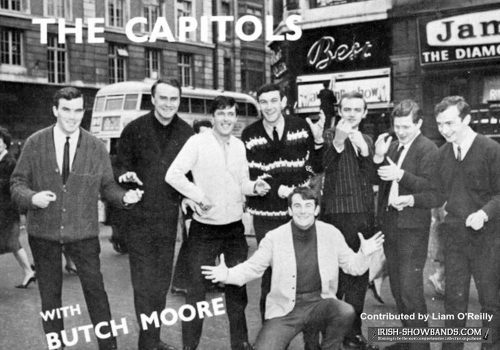 The Capitol Showband was the first Irish showband to: • appear on RTE television (with Maisie McDaniel) in 1963 • have its own show on Radio Luxembourg • record an album • appear on Sunday Night At The London Palladium • represent Ireland in the Eurovision Song Contest with Butch Moore (in 1965) • record an original song (Foolin’ Time by Phil Coulter ) • see different individual band members enjoy chart successes with Butch Moore’s Walking the Streets in the Rain, Johnny Kelly’s Black Velvet Band and Des’s own Streets of Baltimore and The Promoter. Des, originally from Turloughmore was living in Barna and had been a popular Galway Bay radio presenter for over 20 years from 1989. He had been ill for some time and was laid to rest Tuesday 4 April in Furbo after funeral Mass in Barna. He had died the previous weekend on Saturday 1 April. As his coffin was carried from the church former Capitol band member Paddy Cole played The Streets of Baltimore to applause from friends, relations and many colleagues in the music business. He is survived by his wife Maura and children Linda, Sandra, Ian, Judy, Desie and Ali. Aside from co-founding The Capitol Showband Des discovered songwriter Phil Coulter, and set 70s Irish trad supergroup Planxty on the road to success as well as playing a major role in developing Irish country music. 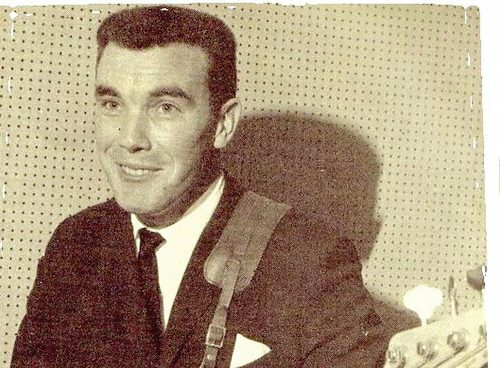 The Turloughmore man started his first band, the Quicksilver Dance Band, in the mid-1950s, while still in secondary school, with his sister Bernie, brother Johnny, and Christy Dooley, Mickey Devaney, and Frank O’Brien. Des doubled on bass and vocals. He moved to Dublin in 1959 to study agriculture at University College Dublin where Des and his brother Johnny met trumpeter Paul Sweeney and piano player Eamon Monaghan from Donegal and drummer Tommy McNamara. Des, Eamonn, Paul and Timmy performed as the Claddagh Quartet. At the time Brendan (Hucklebuck) Boyer’s The Royal Showband and The Clipper Carlton dominated the ballroom circuit. By 1960 Des, still a student, was on the road with his after recruiting singer Butch Moore. By 1961, Des later told interviewers, they had to choose between the increasingy lucrative and regular work from performances or knuckle down to studying for their degrees. “We had a long talk and it was either stop being musicians and get down to serious study, or give up the idea of a university education and turn professional,” he said. Encouraged by Tom and Jim Doherty of Top Line Promotions Des formed the Capitol Showband. The line- up was later to include Jimmy Hogan, Don Long, and saxophonist Paddy Cole (who went on to be one of Ireland’s leading jazz musicians). 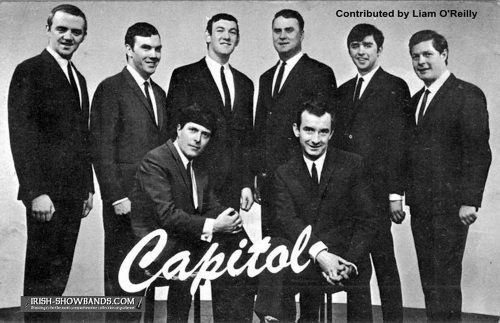 The definitive Capitol line-up had emerged – it was Des and his brother Johnny, Jimmy Hogan, Don Long, Paul Sweeney and Paddy Cole and their early signature look of white shoes, white slacks and blue blazers was adopted. They played to audiences of 2,000 to 2,500 six or seven nights a week. There were some 700 showbands in Ireland at the time, all getting regular work. During Lent, when Irish dance halls were closed, they moved over here to the UK or – in some cases, as with Des’s Capitol, to the US as well. Fellow band member Paddy Cole, who went on to become one of Ireland’s best loved jazz musicians, said of Des: “In 1960 Des Kelly came to Castleblayney to ask me to join The Capitol Showband. Des was hand picking different musicians and we finished up with two from Donegal, two from Cork, one from Dublin, two from Galway, and one from Monaghan. It was life changing. “It was a good band I was proud to be a member of. The band was a huge hit in Ireland and Des took us further afield on tours to USA, Canada, Germany, England, and Scotland, organizing TV and radio appearances in all these countries. One of Ireland’s most successful songwriters Phil Coulter attributed his success to getting his first real break from Des: “Des Kelly changed my life. 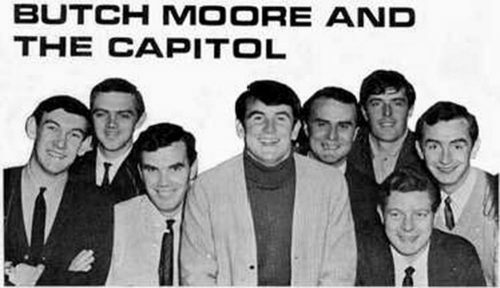 I met Des and the lads in the Capitol during the summer of 1963 in Bundoran where I was working with my four piece. I lost no time in passing on copies of a record I had released earlier that year as a Rag Week fundraiser, while a student at Queen’s University in Belfast. Des invited the young Derry songwriter to stay at his home in Dublin, and involved him in writing and arranging for the Capitol. That connection led to a meeting with Phil Solomon, the Capitol’s London agent, who gave Coulter “my first job. I was on my way – thanks to Des”. In 1969 Des wound up the band and went into promotion and management looking after Andy Irvine’s band Sweeney’s Men. He brought together Christy Moore, Donal Lunny and Andy Irvine to form Planxty who were absolutely huge in the 1970s. He also managed the Smokey Mountain Ramblers.